How to run Crystal Layout with QR on Client machine? I am currently using demo version to print QR code on Crystal report. But on Client machine it's not visible and giving error. I suggest using the Native Barcode Generator for Crystal Reports. Follow each step of the tutorial carefully and attach screenshots of any errors received. 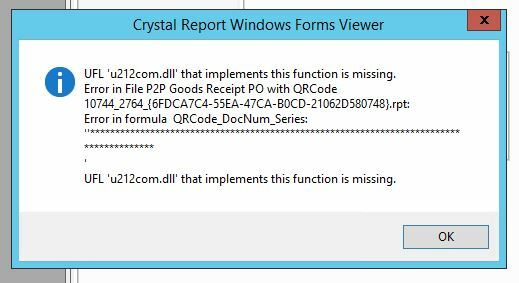 For the U212 error, please refer to the u212com.dll Crystal Reports Error Solution. Avinash	 I am getting attached error on client machine. Please help to resolve.